Slow Day on the Bike Lanes, originally uploaded by [Zakkaliciousness]. 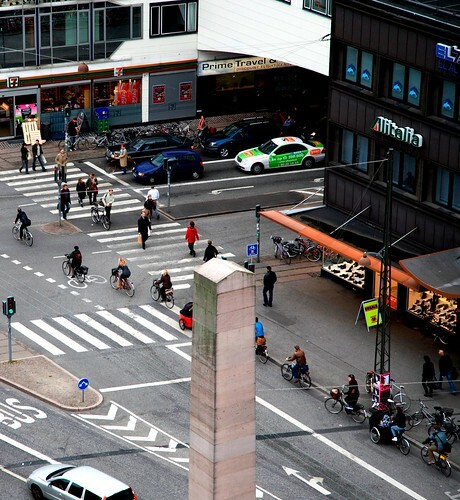 A busy stretch of Copenstreet during a quiet bike lane moment. This stretch will experience upwards of 10,000 - 15,000 daily cyclists.